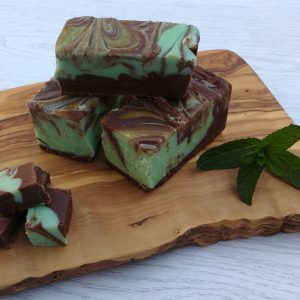 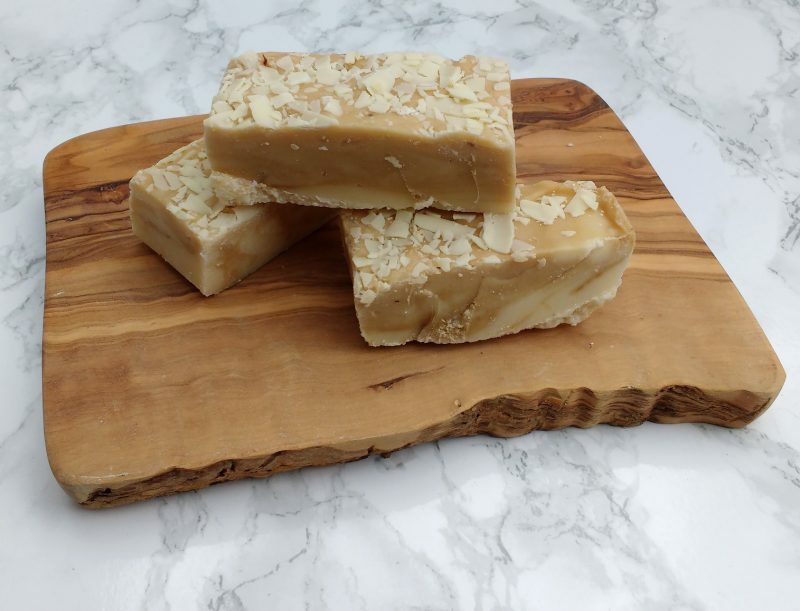 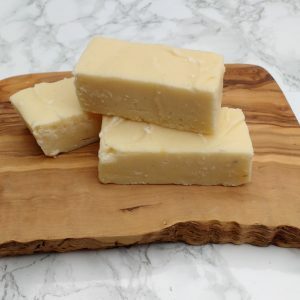 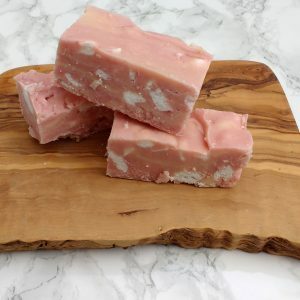 A rich creamy Irish cream fudge. 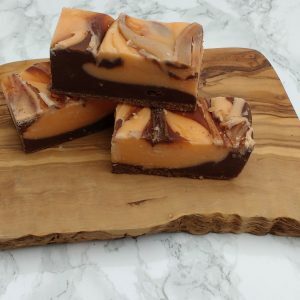 A blend of coffee whisky liqueur is blended with this fudge and topped with flakes of real Belgian chocolate. 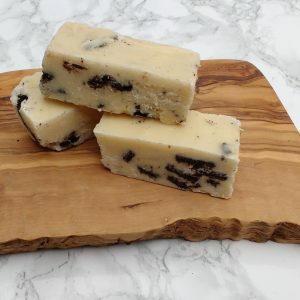 Ingredients: Sugar, Cream, Butter, Milk powder, Soya lecithin, Syrup, Vanilla, Irish cream, Whisky flavourings.